I must admit that prior to starting the Aveeno inside & oat challenge I wasn't the best at moisturising daily, especially with the weather being so cold so following Dr Shefali's skincare plan has made a huge difference. I had fewer hot showers, made sure to exfoliate regularly and moisturised daily, concentrating on all the dry areas such as elbows and knee. The Aveeno shower gel felt very gentle so ideal for more dry sensitive skin and the moisturising creamy oil was so lightweight yet nourishing. Plus it smells lovely with the sweet almond oil. I particularly liked the Aveeno daily moisturising lotion as it was immediately soothing on the skin and it really helped with any dry patches that I had. The hand cream was another favourite as the creme-gel formula was so light yet moisturising, a real handbag essential. This was probably my favourite part of the challenge. I'd say that my diet is about 70% healthy but 2 areas that I struggle with are breakfast and snacks so I was particularly keen to see what Natasha Corrett from Honestly Healthy would recommend. 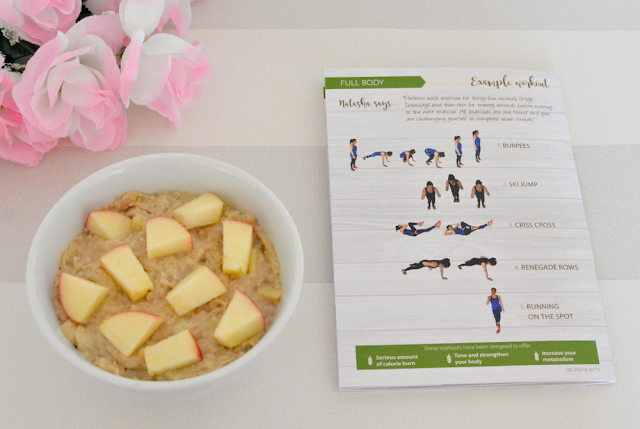 The creamy cashew porridge was delicious and the addition of grated apple and cashew butter really helped to lift the flavour. Avocado butter was another healthy alternative and I really liked the addition of the tahini paste. Spread onto rice cakes it was surprisingly filling and definitely much better than my usual afternoon snacks. 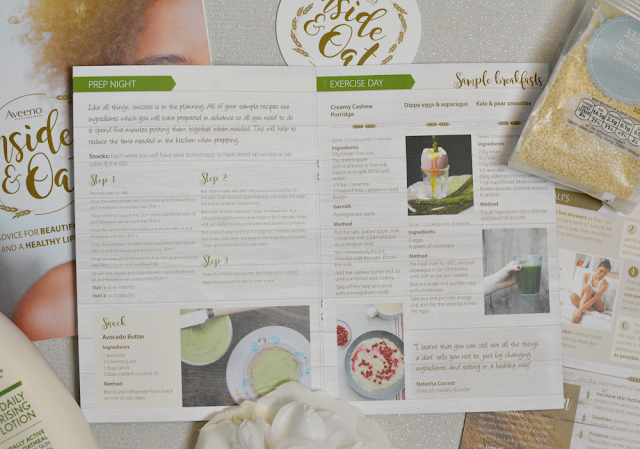 I've included a photo of the recipe card above which you can click to enlarge if you'd also like to give them a try. Not surprisingly this was the hardest part of the Aveeno inside & oat challenge. Recently I've been making sure to run at least once a week so thought I was relatively fit but wow was the HIIT workout tough. A combination of burpees, ski jumps, sit ups, renegade rows and jogging on the spot, it certainly got my heart pumping and my muscles definitely felt it the next day! A great workout though and I'm hoping to keep it up as we go into the summer. Overall I enjoyed taking part in the Aveeno inside & oat challenge. Moisturising daily made a noticeable difference to the texture and smoothness of my skin and I definitely felt healthier with all the diet and lifestyle changes. I'm going to try my best to keep it up and hopefully will see even more of a difference! 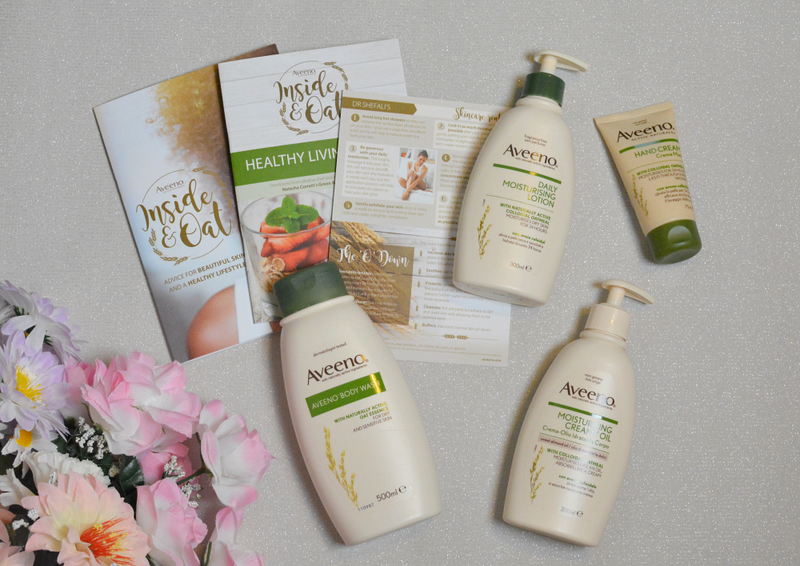 Have you tried any of the Aveeno products? What are your top tips for healthy living?